Astronomers have used Chandra data to determine that an ultraluminous X-ray source (ULX) contains a neutron star. This ULX is located in M51, which is also known as the Whirlpool galaxy. ULXs are extremely bright sources of X-rays, first discovered by astronomers in the 1980s. 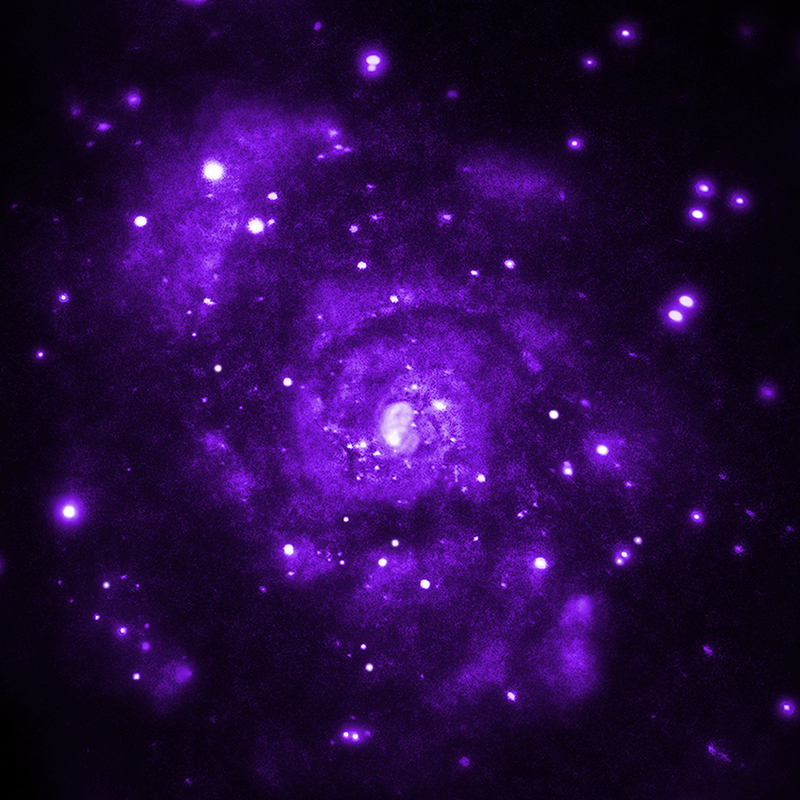 This new result helps provide clues as to how ULXs shine so brightly in X-rays. A paper describing this research, led by Murray Brightman of the California Institute of Technology, appears in the latest issue of Nature Astronomy and is available online. The other authors include F. Fürst of the European Space Astronomy Centre; M.J. Middleton of University of Southampton, United Kingdom; D.J. Walton and A.C. Fabian of University of Cambridge, United Kingdom; D. Stern of NASA's Jet Propulsion Laboratory; M. Heida of Caltech; D. Barret of France's Centre national de la recherche scientifique and University of Toulouse; and M. Bachetti of Italy's Istituto Nazionale di Astrofisica. Coordinates (J2000) RA 13h 29m 55.7s | Dec +47° 13´ 53"
I just cannot get my mind around distances yet. Still working on it. Thank you. I really really enjoy the new discoveries found by our super-telescopes. Best Regards Chandra Team and Staff. 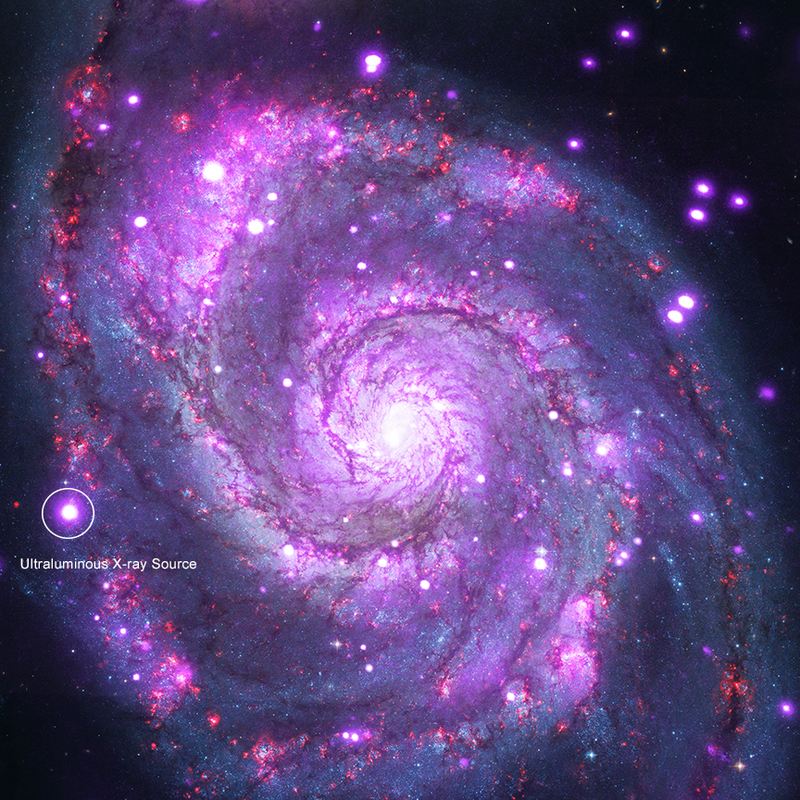 A Neutron star in M51, the Whirlpool Galaxy. About 30 million light years from Earth. About 52,000 light years across. X-rays are purple. Optical is red, green, and blue.